Description: Known for its rugged reliability and stopping power, Charter's Bulldog is a versatile revolver for personal or home protection. With a barrel length of 2.5, this .44 Special is one of the larger revolvers to qualify for concealed carry. This safe, reliable revolver is powerful enough for serious home protection, but has the size and functionality for effective concealed carry! 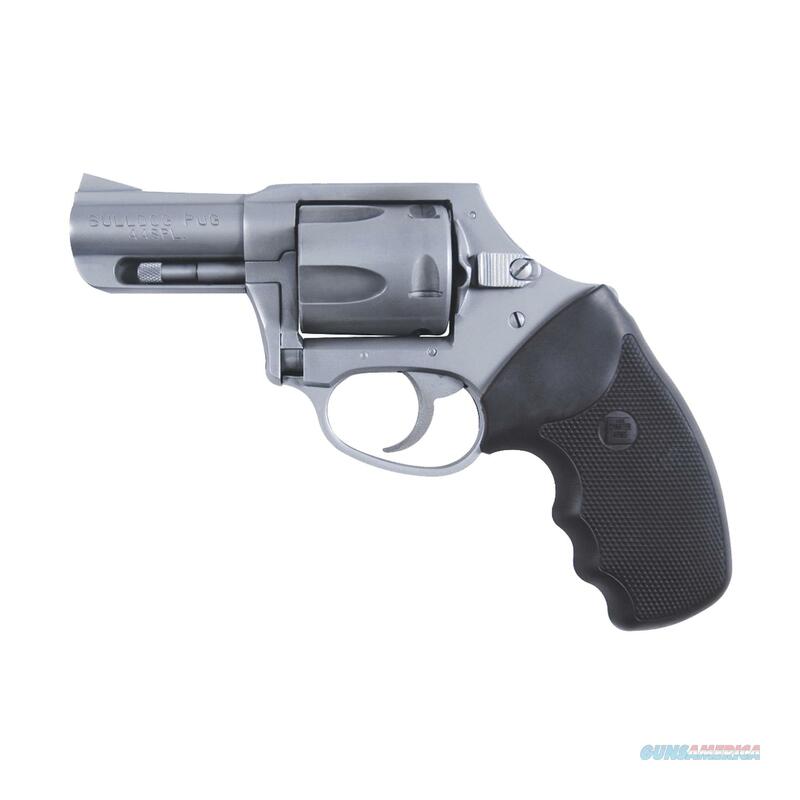 If you are looking for a safe, reliable revolver powerful enough for serious home protection, but with the size and functionality for effective concealed carry, Charter's .44 Special is an outstanding double-duty choice for the jobSpecifications:- Finish: Stainless - Frame: Stainless steel - Grip: Full - Barrel length: 2.5" - Capacity: 5-shot - Caliber: .44 Special - Hammer: DAO - Weight: 21 oz.